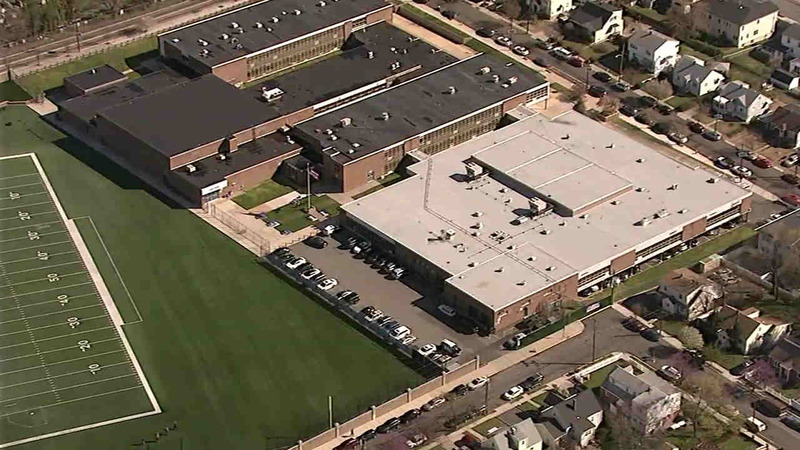 HACKENSACK, New Jersey (WABC) -- Police in New Jersey say bogus bomb threats triggered evacuations in at least 13 schools in Bergen and Passaic counties Wednesday morning. According to the Bergen County Sheriff's Department, police investigated at Fort Lee, Midland Park, Garfield, Fair Lawn High School, Lodi High School, Hasbrouck Heights and several schools in Elmwood Park. The sheriff also reported bomb threats at Hawthorne, Hackensack High School, Englewood (Dwight Morrow), Little Falls, several schools in Leonia, and Paramus. Elmwood Park, Midland Park, Fort Lee, Lodi and Hawthorne were cleared by 11 a.m. The Fair Lawn Police Department said the school there, which also was cleared, is on spring break. The bomb threat came in around 7:55 a.m. via robocall, saying there was a bomb in a car in the parking lot. There were a few staff members in the school at the time. Nothing was found. The Midland Park Police Department and Elmwood Park school said students were at both schools Wednesday. Midland Park Board Office received the threatening call from a person claiming there was a bomb in the schools. After the schools were checked, it was deemed safe and students returned to classrooms. Englewood, Hackensack, Leonia and Garfield were on spring break. These are just the latest threats phoned into northern New Jersey schools over the last few months.